In line at the boarding point, he told me I’d surprise him with his departure destination and that he would now have to surprise me when I got back. The idea seemed brilliant and I told her that I would be very happy when one day she would let me know that the return destination would not be this airport that we are now standing on. This departure was on the run. I packed the bags at the last second, and not even on the way to the airport I didn’t have that „how cool, I’m going on vacation”feeling. Though I give Good tips Others, I’m unable to follow. However, it was a welcome break, five days of active relaxation. I left home without a plan (this is what happens when I organize things-I like to let things happen and not force them into one direction) and we have come to visit and do more things than on holidays where we have a well-defined plan from home. The idea of the program to visit encloses me and for some time it even started to depress me. It makes me realize that I’m just a tourist in a place where I’m allowed to exist for a infima period of time and that’s just in a well-delimited space, downtown where all the attractions are. Either I’m attracted to the real life of the locals and I’m looking for experiences that show me what it would be like to live there. 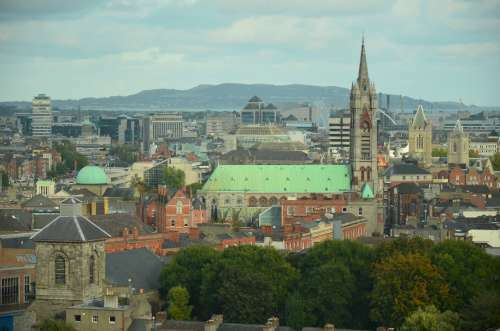 More about Dublin, the city that rivals my heart with London in the coming days.